Tiger Woods courageously won his 15th Major title at Augusta National on Sunday, the living legend overcoming a two-shot final-round deficit to claim Masters glory for a fifth time and spark pandemonium at the Cathedral of Pines. Woods, demonstrating throughout the final round the unflappable temperament which has made him the greatest sportsman of his generation, covered the final six holes in two under par to take control at his favourite course. The former world number one, who has moved to within just three Major victories of Jack Nicklaus's total of 18, was a best-priced 20-1 for the Masters before the tournament, but he opened with a solid 70 and slowly but surely asserted himself, entering round four as a 7-2 chance behind 7-4 favourite Francesco Molinari. 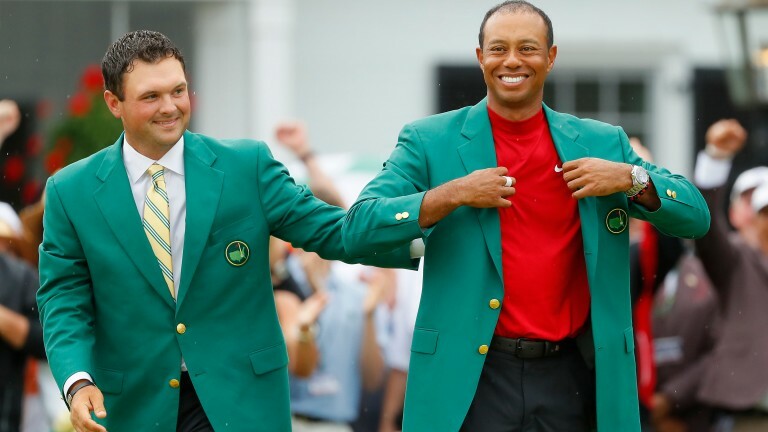 Punters launched themselves behind Woods prior to the final round, with bet365 spokesman Steve Freeth describing the event as “horrific in-play”. Tiger's army of supporters had to be patient, with the 12th hole providing the turning point from which the old master swaggered home. Molinari chunked his tee shot into the greenside water hazard and carded a double-bogey, while Woods made a two-putt par, then the Italian found the drink again at the 15th to meekly surrender. While Molinari found the occasion too much, Woods was stamping his authority on familiar terrain, making birdies at the 13th, 15th and 16th, where he almost had a hole in one, allowing himself the luxury of an 18th-hole bogey to seal a one-shot success over Dustin Johnson (12-1), Xander Schauffele (40-1) and Brooks Koepka (25-1). An ecstatic Woods was greeted by his mother and his children, who had never seen him win a Major, beside the 18th green as the galleries went crazy. Woods was 1,000-1 for the 2019 Grand Slam at the start of the year, but Hills slashed him to just 150-1 after his Augusta heroics.